For the year 2019, the Manti Pageant takes place June 13th-15th, and 18th through 22nd. The pageant starts at 9:00 p.m. in Manti, Utah. For further information about the pageant, please call 1-435-835-3000 or 1-888-255-8860. We rent our apartments for summer rentals and also for the Manti Pageant. Generally, guests are required to bring their own pillows, sheets, towels, and blankets, but receive favorable rental rates for doing so. An apartment contains 6 separate beds. Group rates are available. We will rent pillows/sheets/etc. for a nominal fee. Our rates are approximately half of what it would cost to put 6 people up in a motel. The apartments are approximately 7-8 miles from the pageant site. 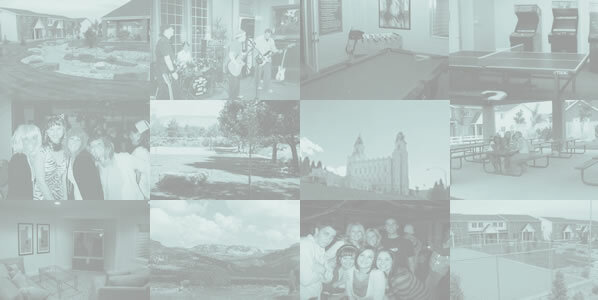 We also do summer rentals for family reunions, youth groups, sports camps, conventions, and other gatherings. We can accommodate groups of up to 500 people! Most of the popular weeks fill up many months ahead of time.We have more amenities than any hotel or apartment community in San Pete County including a convenience store, outdoor (30-35 person) and indoor hot tub, basketball and sand volleyball fenced courts with night lighting, Park with stream and pavillion with barbeque grills and seating for 100 people, Clubhouse with exercise room, game room, laundry mat, and many other features. To make rental arrangments, email us at suu_snow@yahoo.com or call us at (435) 283-6143. Disclaimer: This site is maintained to provide local information for those wishing to make housing accomodations while visiting the pageant. This site has no affiliation with The Church of Jesus Christ of Latter-day Saints.